Everyone has their favorite! 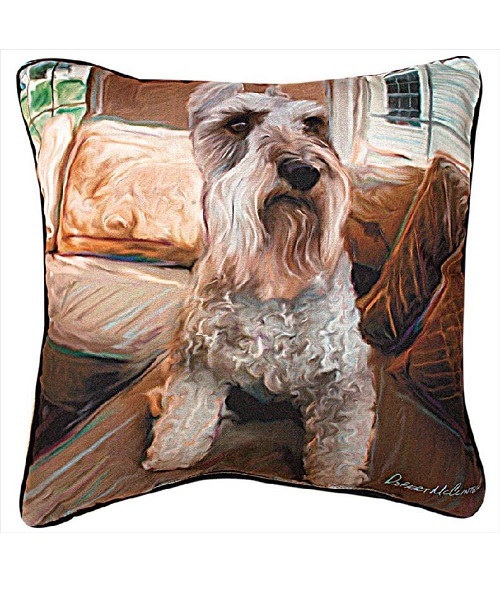 This Schnauzer pillow just may be yours. Bring color and charm into your home, while paying homage to your favorite pet with this bold and beautiful portrait from the collection of renound artist Robert McClintock. All dog pillows measure 18”x18” and have a solid black cotton backing.